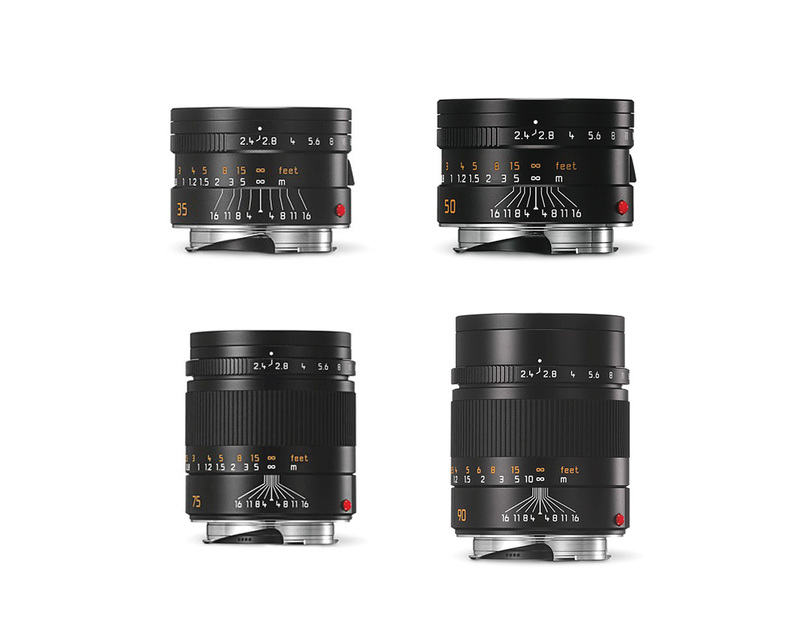 Leica Summarit-M 35mm f/2.4 ASPH, 50mm f/2.4, 75mm f/2.4, 90mm f/2.4 Announced, Available for Pre-order ! Along with Leica M-A Typ 127 rangefinder camera, Leica also announced 4 new M-mount lenses. The Leica Summarit-M 35mm f/2.4 ASPH lens Price is $2,250, Leica Summarit-M 50mm f/2.4 lens Price is $1,950, Leica Summarit-M 75mm f/2.4 lens Price is $2,150, Leica Summarit-M 90mm f/2.4 lens Price is $2,350. Previous Previous post: Leica M-A (Typ 127) Announced, Available for Pre-order at $4,750 ! Next Next post: Rumors: EF 11-24mm f/4L USM Lens Leaked Image ?